Risky play among children promotes creativity, leadership, and group skills. But finding the nerve to let kids take risks can be challenging for modern parents. Here’s how one parent let go and let her kids take more risks. When my youngest daughter learned to ride her bike last summer, my husband and I promptly snapped a photo to document the milestone. In the picture, our daughter looks triumphant, her feet resting comfortably on the pedals as she flashes us a sunny smile. Of course, there were plenty of frustrating moments leading up to this that we didn’t capture on camera. Like anyone learning a new skill, our daughter sometimes got impatient with the process. Many times, after losing her balance and toppling over, she’d give up, leaving her bike in a sad heap in our driveway. As I nursed my aching back – sore from holding my daughter’s bike as I ran alongside her – I comforted myself with the knowledge that at least she was safe. In addition to a bike helmet, we’d outfitted her with elbow guards, knee pads, and sturdy gloves. The gear was bulky. It was stiff. And it was itchy, our daughter complained. But she needed it all. Didn’t she? One afternoon, midway through another round of practicing, our daughter got off her bike and began yanking at the gear that had, until now, protected her tender skin from injury. “I don’t want to wear all this stuff,” she said. The helmet was non-negotiable. But as for the rest of the gear? We let her take it off. For the remainder of the summer, the collection sat in a pile in our closet, gathering dust. Our daughter did endure a few bruises and scrapes after that. But without the extra gear restricting her, she was able to move her body freely, and soon improved her balance and coordination on the bike. And I realized that all of our efforts to keep her shielded, padded, and insulated hadn’t made her better off – they ultimately made her learning process more cumbersome. Just like when my daughter was learning to bike, when my kids were little, I always tried to keep them out of harm’s way – and they worked just as hard to neutralize my efforts! They climbed counters, investigated electrical outlets, and put every tiny object possible into their mouths and noses. Though my kids tested my sanity, evolution-wise they were behaving as expected. Young mammals are drawn to risky play because it creates an exhilarating blend of freedom and fear. And this exposure to natural risks has an important benefit for animals and humans alike: It enables us to practice managing negative emotions, particularly anger and fear. Roughhousing is a popular form of risky play among kids that sometimes results in accidental injuries, which can anger the person who was hit – understandably. But that person quickly learns to overcome the momentary anger so that the fun game can continue, explains research professor Peter Gray, Ph.D., author of Free to Learn. Similarly, when kids play hide and seek, climb trees, or rocket down a steep hill on skates, they experience a measure of fear that they learn instinctively to control. “They learn that they can manage their fear, overcome it, and come out alive,” says Gray. When I was in middle school, I used to bike around town with a neighborhood friend. My friend’s mother – who I considered very strict at the time – asked only that my friend check in with her once every four hours. Otherwise, we were free to explore whatever struck our fancy. 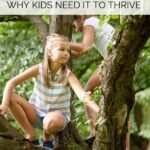 Over the past few decades, this type of unstructured, adventurous play has decreased dramatically, due largely to the rise of adult-directed extracurricular activities and increased anxiety about safety. Today, parents are much less likely to allow kids to roam the neighborhood unsupervised, or to walk or bike to a friend’s house by themselves. By removing the natural risks inherent in play, we’ve created other problems. According to a 2007 American Academy of Pediatrics (AAP) report, “when play is controlled by adults, children acquiesce to adult rules and concerns and lose some of the benefits play offers them, particularly in developing creativity, leadership, and group skills.” Kids who grow up highly sheltered wind up less resilient and less equipped to manage the challenges of adulthood. As a result, their mental health often suffers. Concerned educators and other child development advocates are trying to bring back risky play in different ways. Adventure playgrounds, which often include discarded items like car tires, old mattresses, and broken bikes, are popping up in places like New York City. In these spaces, kids are free to run, jump, hide, and even work with tools like hammers and saws – and parents aren’t allowed. In Quebec, Canada, some elementary schools are promoting rough play in designated “play-fighting zones,” where students are permitted to wrestle and grab each other, but not kick, hit, bite, or throw objects. 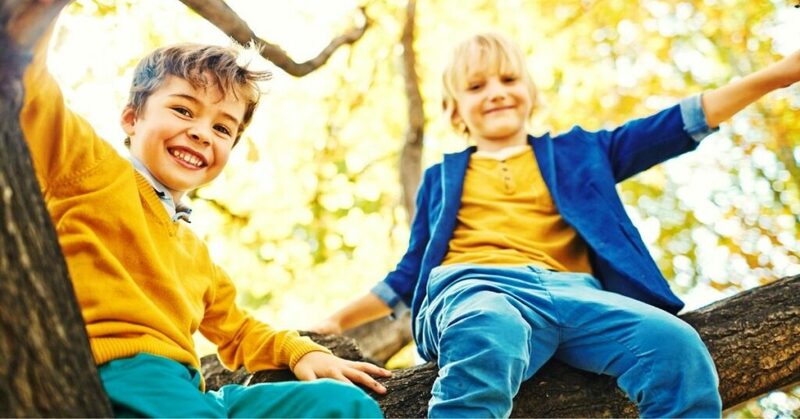 Beyond junkyard playgrounds and play-fighting at recess, rest assured that there are many other ways to reap the benefits of risky play, and they will look different for each child. For some kids, it might be climbing a tall tree or skating solo around the block. For others, it might be constructing a fort using real hammers and nails or cooking a meal on the stove. 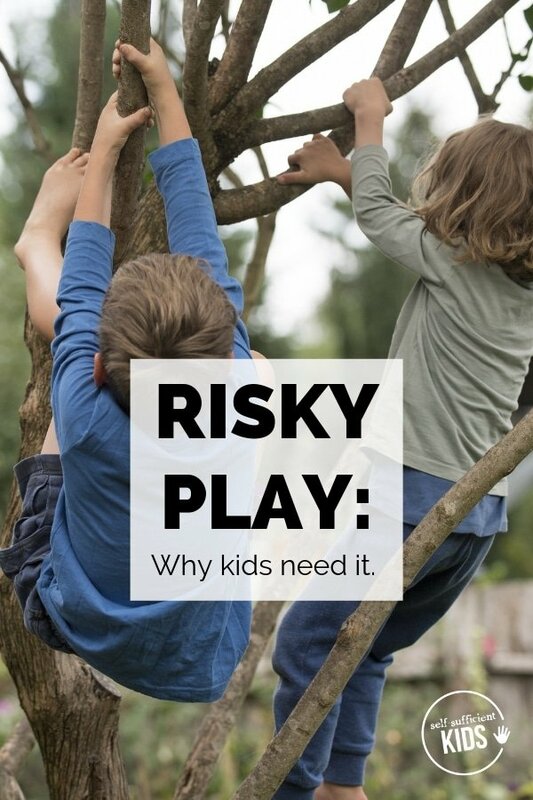 When considering what types of risky play can benefit your child, pay attention to what he or she seems to gravitate toward most. Your child has likely hinted at or even stated outright some ideas. Is it more freedom to roam the neighborhood? Is it staying home alone on occasion? Is it getting acquainted with a new kitchen tool? Think about activities that will expand your child’s world and offer opportunities to learn new skills. Encourage your child to make a list of ideas that you can revisit together from time to time. Parents seem to be far more uneasy about risky play than kids are, and for good reason: We’ve been exposed to more messaging about life’s dangers – real or imagined – that lurk around every corner. Chances are good that allowing your child to participate in risky or unstructured play will make you feel uncomfortable. The challenge is to embrace this discomfort as long as it benefits your child’s development. In the television show Annedroids, a trio of middle school kids builds robots in a secret junkyard. They use all kinds of tools, create science experiments, and explore their rugged surroundings, all without adult supervision. Without giving away any spoilers, one of the kids’ moms becomes increasingly wary of the junkyard, explaining it’s not safe. I empathize with the mom character. When my youngest climbs trees or my oldest cuts vegetables with real knives, my natural inclination is to rush in and help – to protect, insulate, and safeguard. I’ll admit, I often succumb to that tendency. Even so, I’m starting to recognize that the more I do this, the more I’m depriving my kids of the chance to develop critical skills through experience. I could say, “Be careful!” until I sound like a broken record, but letting my kids encounter natural risks – and cope with whatever challenges might arise – is a far more effective lesson. At the martial arts studio where my oldest daughter practices, there’s a large glass window for parents to observe the class. Each time the students engage in sparring – or controlled fighting exercises with their classmates – all of the adults hold their collective breath. I know we’re all thinking the same thing: Please don’t let my kid get hurt. Although the students wear some protective gear, there’s a good chance of getting kicked or knocked down. During one session, my daughter sustained a decent wallop to her face. Although she wasn’t seriously injured, as I watched her eyes well up with tears, I felt awful. At first, I worried that I’d done her a disservice by allowing her to participate in an activity where she could get hurt. But the experience ultimately made a positive impact on my daughter: It taught her the importance of always keeping her hands up to protect her face – a lesson that has stuck with her. If she’d never been hurt, she wouldn’t be as diligent today about that aspect of her form. This realization helped me cope with the initial discomfort and guilt I felt about her getting injured. Without question, unstructured play comes with risks. 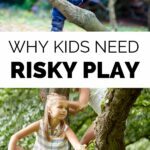 But when it comes to our children’s long-term development, independence, and mental health, it’s becoming clear that the lack of risky play poses a far greater danger. 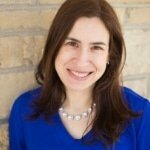 Gina Rich is a writer and mother of two daughters. She shares caffeinated ramblings about motherhood, grief and loss, and mental health on her blog at Love and Hope and Coffee. You can also find her on Instagram at lovehopeandcoffee.